All the candidates who have appeared for the SRMJEEE Exam can check their respective results at the official website of the university. The All India Rank of candidates who took SRM Joint Entrance Examination for Engineering (SRMJEEE) – B.Tech held between 16th April to 30th April 2018 seeking admission to B. 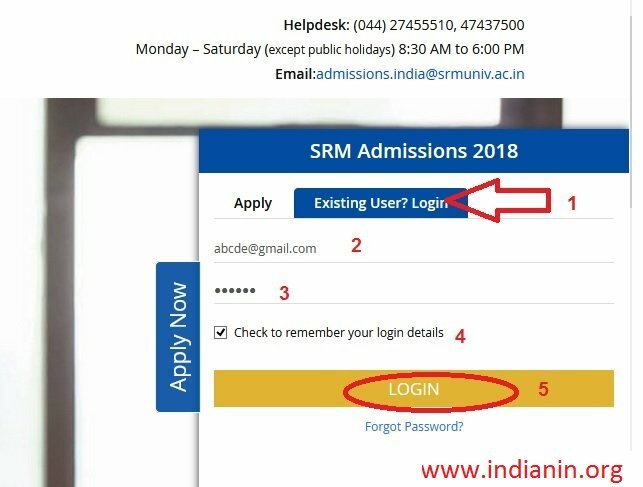 Tech in SRM University Haryana, SRM University AP and the 4 campuses of SRM Institute of Science and Technology (SRMIST) for the year 2018 is now available. 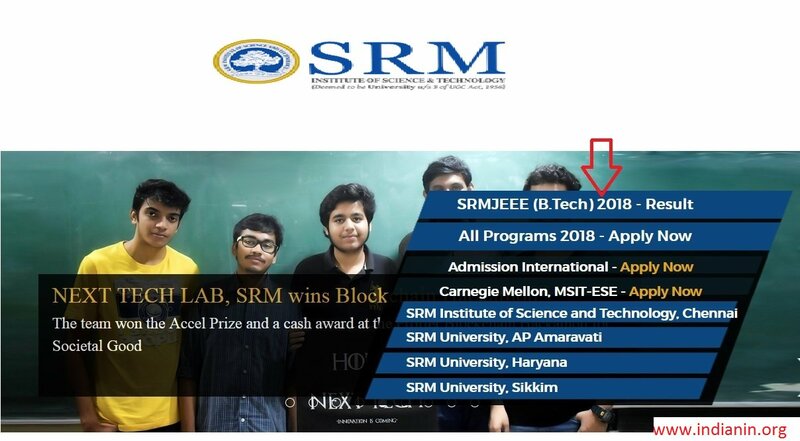 Go to the home page click on “SRMJEEE (BTech) Results 2018” link. Result page will be opened. Click on “applications.srmuniv.ac.in/btech” this link. The candidate can download his/her Rank Card as well their counseling call letter by login to the applicant’s dashboard. Login Page will be displayed. Enter the following details and get your rank and counselling schedule date. Step 3 : Enter Your Login Password. Step 5 : Click Login button and get your rank & counselling date. ** Candidates who have missed out attending the counselling at SRM University – NCR Sonepat, Haryana and SRM University- AP, Amaravati can also attend the counselling at Kattankulathur as per the rank order on the date and time scheduled above. ** The Counseling Call Letter is an invitation to attend the counseling and for verification of original certificates. ** Mere receipt of the counseling call letter does not mean the candidate is found eligible for admission to the particular degree programme. ** The admission is subject to (a) satisfying the minimum eligibility criteria as stipulated by the respective institutions, (b) your rank order listed by SRMJCCA 2018, (c) production of all original certificates and other documents listed below for verification, and (d) payment of Registration and full tuition fees. ** The candidates are strongly advised to plan for two-day stay, just in case, you are not able to complete the counselling process on the same day, for whatsoever reasons. ** Provisional Allotment Letter will be issued only upon payment of Rs. 2,10,000/- (includes Registration Fee of Rs. 10,000/- and Part of first year *tuition Fee). ** Candidates are strongly recommended to pay the above amount before coming to the counselling, through E-Pay facility. ** Payment information on E -pay is made available in the applicant dashboard. ** No Other Mode Of Payment (Cash / Cheque) Will Be Accepted. ** The Registration fee is Non-Refundable and Non-transferable under any circumstances. *Tuition fee varies with program and institution/campus. 7. Cancelled cheque leaf with name of the Candidate/Parent/Grand Parent printed. 8. Receipt(s) for payment made through E-Pay facility or Demand Draft. After payment of Rs. 2,10,000/- during counselling and receiving the Provisional Allotment Letter (PAL), the balance tuition fee, if any, must be paid on or before June 05, 2018, failing which the admission will stand cancelled and the vacancy arising out of such cancellations will be filled immediately from the waitlist. If the annual tuition fee for a particular programme / institution is less than Rs. 2,10,000/- the excess amount would be adjusted in hostel/bus fees.